One of the worst ways to start a new year is with a staggering electricity bill. Coming right after Christmas, it can add stress to already stretched budgets and dampen what should otherwise be a fun and relaxing time of year for your family. With hot days predictably coming back to back in Perth, it may seem there are few alternatives available to cranking up the air con. Unless you are home all day enduring unbearable heat, running the air con may not be necessary. Cool your home in the morning and evening by running your unit for a short time to cool down the house. If you do intend to run it all day, give it a head start by allowing in cool morning air. In Perth, the sea breeze will usually start to blow in the afternoon and it may not be necessary to keep the unit running. It seems counter-intuitive but running your air con a couple of degrees warmer can make a difference and often you will not notice. The temperature should be comfortable, not so you need to pull out your winter woollies. By keeping the unit at a slightly higher temperature, it will not be working against the heat outside to maintain the cooler temperature inside. 24C is a good, comfortable setting. Ceiling and pedestal fans can also help cool you down and investing in roof insulation can trap cool air for longer. If you have windows which receive direct sunlight, consider having them tinted. The tinting will reduce the amount of heat allowed in. Alternatively, use heavy curtains, which will not only keep out heat, but cool air will be trapped inside for longer. When the mercury is reaching its peak for the day, it can seem natural to turn on your air conditioner. However, when your home is already hot, your unit must struggle against the heat to bring the temperature down. The best time to run your air conditioner is before it becomes too hot. Cool your home down and turn off for a few hours, before Perth’s trusty Freo Doctor brings relief. The majority of energy consumption costs go to heating and cooling our homes. This cost can increase dramatically if you have an older and less energy efficient unit. 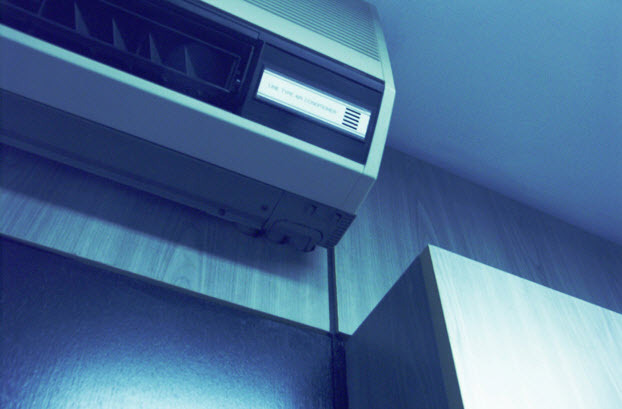 If your air con is struggling to keep up and your energy bill is soaring along with the temperature, it may be time to consider a replacement. Age may play a factor or the unit may no longer suit your purposes. For example, you may have a unit in the living area but need them in the bedrooms for your growing family. Our team are the experts in cooling and air conditioning for Perth homes. Whether you have questions about your current unit, or are ready to upgrade, get in touch with Ambience Air to discuss your needs.